Lower Thetis Lake in View Royal near Victoria, BC. Photograph by Mike Munroe. 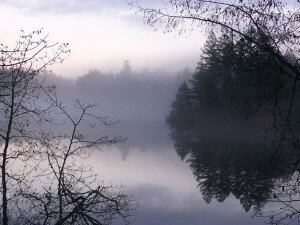 Thetis Lake exemplifies the best of Victoria’s lakes for lake enthusiasts of all types. 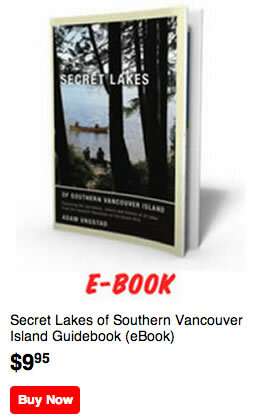 The lake with a unique shape offers it all: swimming, sunbathing, hiking, and access for non- motorized boats. The trails around the lake’s beaches, cliffs, secluded coves, and surrounding forests offer an opportunity to connect with nature in its finest form. 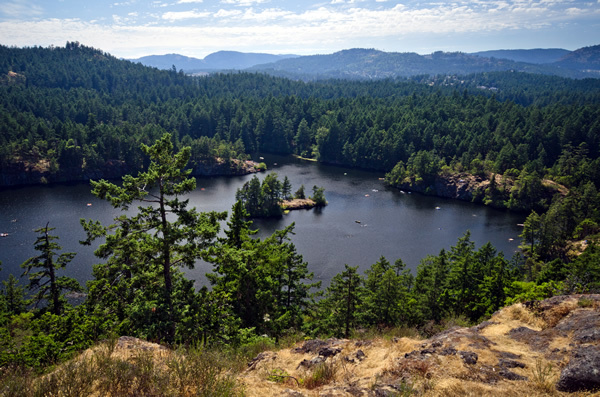 From an ecological perspective, Thetis Lake is surrounded by mid-growth hemlock, cedar, arbutus, and Douglas fir trees, offering a chance to see the variety of the flora southern Vancouver Island is best known for. In the springtime watch for wildflowers in the hills nearby, including shooting star, white fawn lily, and spring gold.